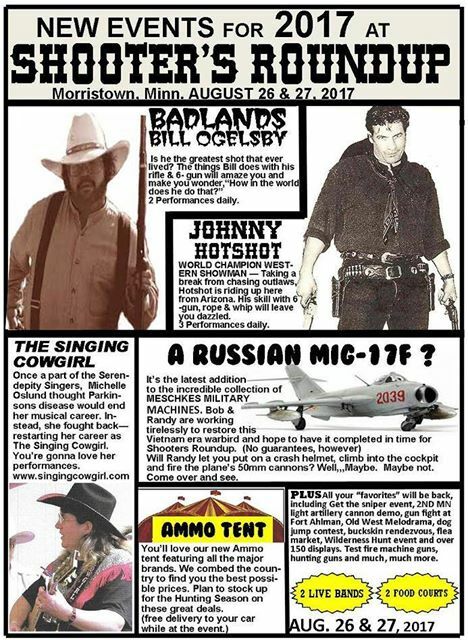 With summer drawing to a close and fall rapidly approaching, I can’t think of a better way to ring out the summer than coming to this weekend’s annual Ahlman’s Shooters Roundup in Morristown, MN! If you’ve never been to Ahlman’s Roundup, you won’t believe how much fun it is. For a taste of that action, click this link or the image below! You’ll see tons of gun fire at the more than 50 live-fire gun ranges. Also, there will be multiple live fire ranges with a variety of the worlds’ best SILENCERS for you to shoot! Minnesota Gun Rights is proud to help sponsor this event every year. It’s a great opportunity to bring your kids or grand kids and get them introduced to firearms and shooting in an exciting atmosphere! Have you ever wanted to blast one of Saddam Hussein’s tanks with a 25mm anti-tank gun or light up a Chevy with a Browning A-4? How about shooting a .50 caliber sniper rifle or watching a professional exhibition shooting show? If you’ve never been to Ahlman’s Shooters Roundup, you don’t know what you’re missing! It’s the largest non-competition shooting event in the entire 5 state region, and there’s something in it for each member of your family. 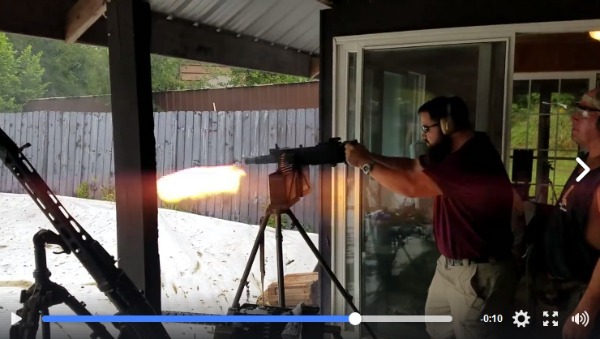 Last year, I had the distinct pleasure of shooting a pair of full-auto Ak-47 pistols, and I can’t wait to shoot a few more exotic firearms I’ve been eyeing. If you’re looking for a great event to help ring out the Summer and bring in the fall, the 2017 Ahlman’s Shooters Roundup can’t be beat. It’s this Saturday and Sunday all day long at the Ahlman’s Gun Store located at 9525 W 230th Street, 2 miles due north of Morristown, MN. It only costs $10 to get in the door (plus whatever food and events you want to attend), and kids 10 and under get in free! Minnesota Gun Rights will be there on Saturday only, and anyone who signs up to be a member of MGR will get one of our new T-shirts absolutely free! We’ll be collecting petitions in support of Stand-Your-Ground law for Minnesota in 2018, and we’ll have bumper decals and our no-guns-no-money cards for everyone! If you’d like to volunteer at the booth for just 3 hours, we’ll give you a free t-shirt for that as well! Just stop on by and tell us you’d like to help out, and when you’re done we’ll give you a t-shirt and send you on your merry way! It’s going to be an exciting event, and we hope to see you there on Saturday! P.S. The annual Ahlmans Shooter’s Roundup is coming up THIS Saturday and Sunday at Ahlmans Gun Store, located at 9525 230th St W, in Morristown MN. While you’re at it, click on the link below to get your FREE Minnesota Gun Rights decal. Just like we saw during the 2017 legislative session, it is the grassroots pressure of thousands of gun owners standing together that makes the difference in St Paul. When you’re done, be sure to share this message with all of your friends so they can sign up as well!